Osheas does not look anything like it used to. 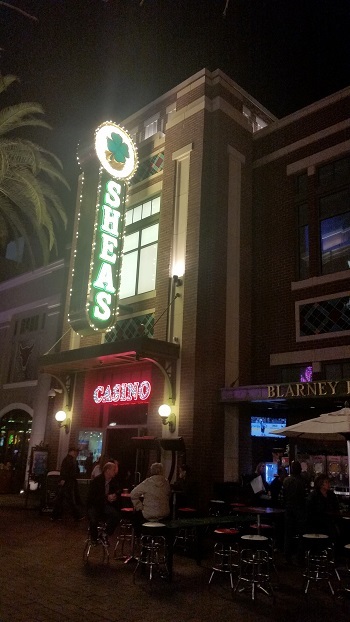 Osheas was located directly on the Las Vegas Strip where the front corner of what is now the Linq Casino. Even though it has a brand new look it is still targeting the same crowd. 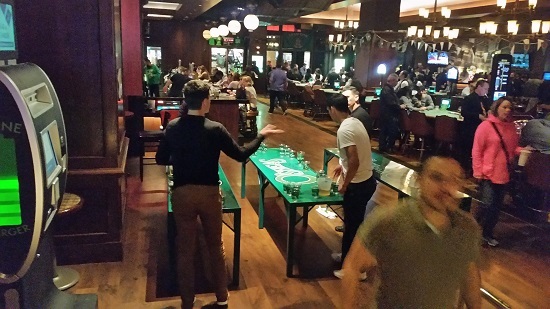 You will find mostly young heavy drinking partying beer pong playing People in here. 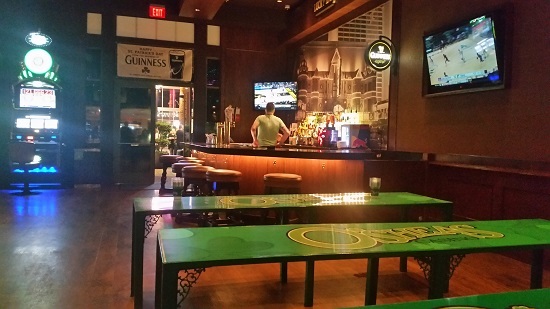 In fact Beer pong was first introduced to Las Vegas in the old location of Osheas. 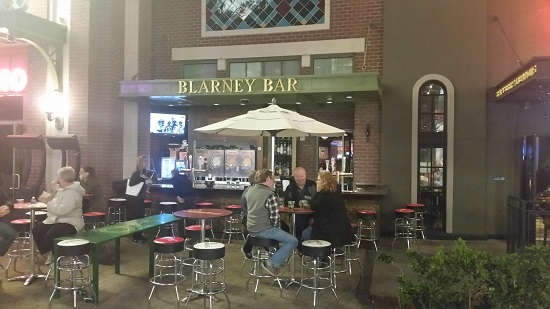 The Barney Bar is very popular during the day when the weather is nice and EVERY night. 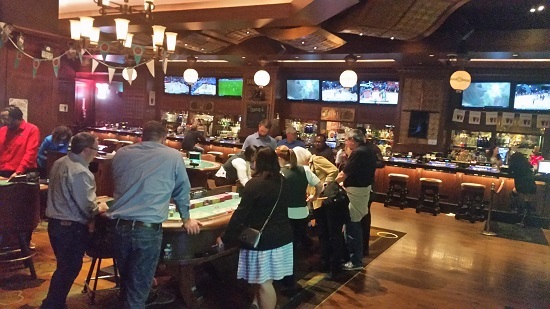 It is a great People watching spot since it is open to the thousands of People walking down the Linq Promenade. 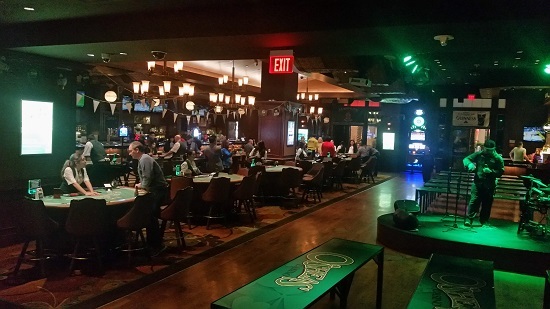 Restrooms for Osheas are located inside the Linq Casino near the Casino cage. The restrooms are new and very clean unlike the filthy ones that were in the old Osheas location. Overall Atmosphere: It’s a great Irish theme and they even have a Leprechaun at the entrance to greet you on many days. Remember the old Osheas? 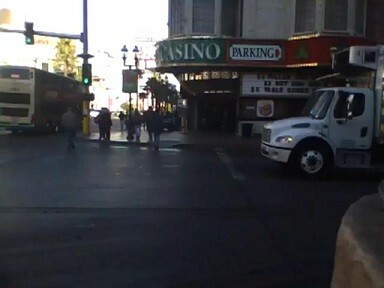 It was a very loud crazy place and it had the Las Vegas Strip's only Burger King. 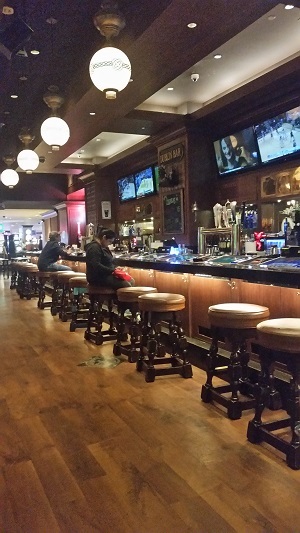 Now there is no more Burger King but there are restaurant choices all around Osheas now that it is located on the Linq Promenade with an entrance also inside the Linq Casino. 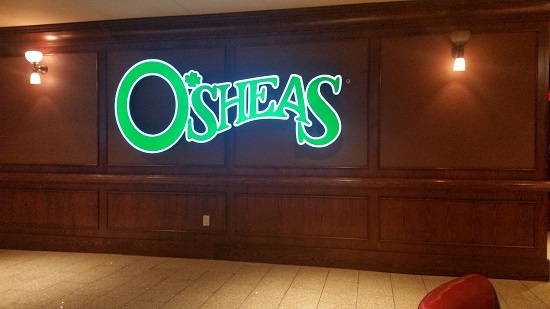 Osheas has nightly live entertainment that is every bit as good as paying for a concert and it is FREE!